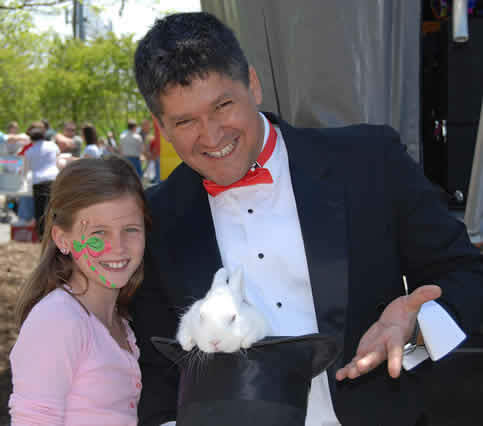 "Since MagicBase was released in 2003, full and part-time performers, including magicians, jugglers, hypnotists, and ventriloquists, in numerous countries have used it to manage their programs and marketing. MagicBase Pro (introduced in 2008 and currently available in version 3.0.7) is even more powerful than before and is designed to work with Microsoft Windows XP, Windows Vista, Windows 7, and Macintosh OS 10.1 or higher. If you are using a computer with a Windows operating system, you will need to install the latest version of QuickTime (available free from Apple) in order to run the MagicBase Pro. You can check compatibility with your system on the MagicBase Pro web site. In addition to the ad and marketing tools, the system lets you design your own contract and form letters, merge them with your customer list, and print them. You can also plan your shows, list the effects and props required for each, print packing lists, keep a permanent record of every show and routine performed for each client, and maintain an inventory of your collections or library (including photos). A "virtual file folder" feature allows you to link to other files. If you don't know where a booking is located, there is even a Map button that will display the location for you. It is hard to think of anything that this program won't do. It lets you keep everything related to your business in one place and manage it all. As a registered user, you receive monthly newsletters, advising you of any updates or upgrades to the program, as well as various tips and ideas from Mr. Miller and other users. While the price tag may be more than the hobbyist or armchair performer feels comfortable investing, when you consider its features, it is not only a bargain for the part-timer, but a virtual necessity for the full-time pro. any magicians, variety acts out there looking for a great software with outstanding tech support MagicBase is the answer. 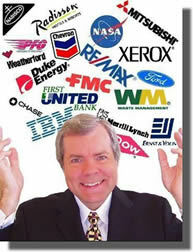 Again Bob thanks for providing a great easy to use software." "Thanks Bob, for all your help. You went above and beyond when helping me the other day. Held my hand through the whole process and took the time to explain to me how to upload my data. You knew I had a fear of doing something wrong and you stayed on the phone with me the whole time. That's what I call top notch customer service. Much appreciated!!! Thanks man." "An Indispensable Tool for the Professional Magician"
" I purchased [the original] MagicBase at an I.B.M. convention a few years ago after seeing it demonstrated at the booth. After I installed the program at home, I found it to be a little too limiting so I did not use it or explore its capabilities. The new MagicBase Pro is light years ahead of the basic model and is very user friendly and easy to navigate. All the tutorials are available as videos on the website so it's like getting personalized instructions and having my own IT guy. There is a danger of keeping too many duplicate records so I am converting everything to MB Pro because it can handle everything. I particularly love, and frequently use, the Show and Routine screen when preparing for shows. I can create, add or subtract routines and tweak my show so as to fit the client's time restriction. Some want 20 minutes while others want 50. Such was the case on a recent cruise I worked. I had prepared a 45 minute show but the Cruise Director asked me to cut my show to 20 minutes. It was easy with MB Pro! I had my laptop with me so I quickly put together a routine for a 20 minute show that went over perfectly with the audience and kept within the time requirement. Another big advantage is for repeat customers. I can see what I did for their last function I worked so I can put together a new routine for their next event. Moreover, I can see what I charged them the last time and keep great records. Thanks, Bob, for making this indispensable tool available for professional magicians." If you are a professional variety entertainer of any kind, and you do your own booking, you will find MBP a wise investment, indeed. With the tight world economy, you cannot afford to be without it." "Now that I've got MagicBase Pro at my disposal... I'll be too busy gigging to write amusingly scathing reviews." John Lovick, MAGIC Magazine reviewer . See full review in MAGIC. "I love it. It's great! I'm from another country and english is my second language. It's so easy to learn your program. I use it in spanish and english. It keeps everything organized and ready for my contacts; saves me a lot of time and paperwork and money. With a touch I can see my routines, times and even maps. If there's a program you ever need, get this one. It's the most complete I've ever seen. You won't be disappointed." "Once I got the program on my computer all I have to do is learn it. there's lots of tutorials and videos to help with that. Learning curve aside I can't believe I didn't get this program earlier. I love it! I highly recommend it to anyone who wants to use performance as a business." "MagicBase Pro 3.0 will certainly help you stay on top of your clients and keep coming back to your current clients and staying in touch with them. Your clients are your bloodline and if you don't keep coming back to them you won't survive. MagicBase Pro 3.0 will help you keep in touch and make you a hero in your clients eyes!" "MagicBase Pro is set up for performers by performers. They understand our needs and help to make it smoother in the office. The fact that Bob Miller is a good marketer as well just adds value to the package. The little details to make our marketing easier is a real plus. We have used MB from the beginning and this is the real deal!!! It will make your office time easier and more productive"
"Do it, just do it! Buy this product! MagicBasePro will streamline your business, make you appear more professional and "user friendly" to your audiences, and help you plan your show -- and show your plan!"